Spring Valley Hospital is restricting access to its ER because of a gunshot victim. 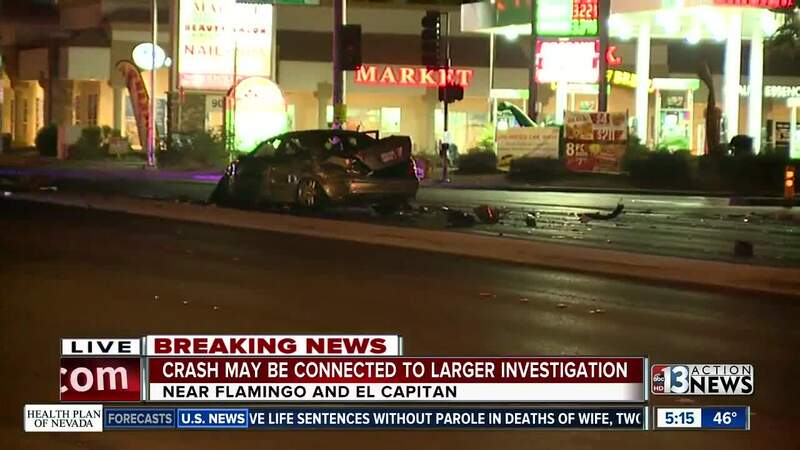 It may be related to the crash near Flamingo and El Capitan. This is a roundup of all the breaking news from around the Las Vegas valley for November 20, 2018. 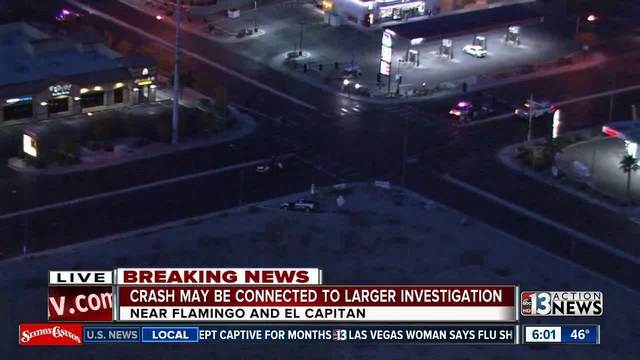 Police say a 2003 4-door Mercedes was approaching Flamingo Road on El Capitan when a 2007 Toyota pickup entered the intersection at El Capitan. The Mercedes hit the Toyota, causing it to roll over. The Mercedes caught fire after the collision. The Toyota also hit a power box, causing the traffic signals and street lights to malfunction. No one was seriously injured in the crash. The adult male driver, who is suspected of being impaired, was transported to a local hospital. The signals will be out until about 8 a.m. The shooting victim at Spring Valley Hospital has not been connected to the crash. Police say the man who walked into Spring Valley Hospital after being shot several times is being transferred to UMC Trauma and is in critical condition. It is still unknown if the shooting is related to crash near Flamingo and El Capitan. The man was dropped off at the hospital around 4 a.m.
Spring Valley Hospital has confirmed that it is restricting access to its emergency room because a gunshot victim showed up. The shooting may or may not be related to a crash near Flamingo Road and El Capitan. Police are investigating. Police are on scene of crash near Flamingo and El Capitan. Road closures may be in effect.